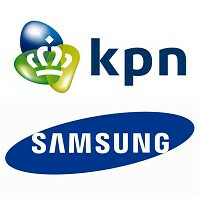 According to court documents filed in Texas, KPN alleges that Samsung is using patented technology for data transmission in the Galaxy S4 and Galaxy S5, among other Samsung devices. The two companies have apparently been negotiating for the past couple years on how to best execute a license agreement, but have not been able to reach an agreement. What is also not immediately known is if this technology is put to use in Samsung products only in the United States, or if this suit is meant to motivate a solution for the Samsung use of KPN patents around the world. I don't support a broken patent system. Its should be reviewed to better safe guide Inventors not Trolls! Why put in the fund, effort and resources to bring a product to the market that would benefit consumer when there is a risk of it being shot down my greedy patent trolls. The worse thing is since there no need for a working prototype, trolls just dream up the idea and patent it. How does that encourage actual invention??? If I have 2 millons dollar to dump into patent office I could patent the Star Ship Enterprise complete with repecator and transporter technology. I just need to draw them and label them correctly. Sure, the current patent system will certainly collapse without your support. Of course your attention has also help immensely. Yes and no, current patent system allows you to both invent and bring to market faster if you show a product. of use out of it. And can sidestep previous filings. But since this has been going on for years, you knee jerk reaction to the patent system is laughable at best. Until we know more, all we know is this, Samsung went to use a patented tech, figured they would figure out the details and brought a product to light. WIll then turn around and claim they have been using it for years and that KPN is unfairly targeting them. When in reality, it was Samsung who first chose to break it. Until we know more, we don't know anything other than a company filed a lawsuit. Everything else you stated is your own spin. It's not going well with KPN lately. It seems to be a desperate move to cover their low earnings of the last few quarters. You've gotta ask yourself, why is Samsung mobile involved in many patent suits? It couldn't just be because of the money. Those guys gave gotta lay off people's/company's intellectual properties. How right you are. I'm asking myself how is different the S5 from M8 or Z3 or Moto or G3 or ... you name it. They use the same soc, ram, LTE developed by others (which need licenses). They only integrate this parts on their choice (science). So why is only Samsung on the trial? Yep it is because they have the money. Considering its a data transmission suit, most likely to do between devices such as TVs and Phones. Considering each company uses their own flavor they could be using one that infringes. And since this is going on for years, I highly doubt it was by accident. They're involved in lawsuits you hear about. Every major company is involved in many, many patent lawsuits. This company is obviously not a troll. They're real. Another day another headache for sammy. when so call " broken patent system " no longer exist, you will see the China brands dominating android market faster than you can imagine. the 1st company to extinct is samsung. funny enough, the patent troll samsung also depend heavily on the "broken patent system" to safeguard their market share in europe，US & korea. what do you think that what stop china OEM entering into US & europe market? obviously the patent law out there are protecting all these companies include Apple from china's OEM threats which are cheaper, prettier, and able do all the same stuff on ur lovely smartphone held everyday. You seriously need to revise your facts. No one is stopping any Chinese company from entering any market. The problem is normal companies like Samsung, Apple, LG, HTC, etc etc have patented their designs, technologies etc. What many but not all Chinese companies do is use all those patents for free and without any asking. Simply cause they mostly work and sell in China where if you are a Chinese company you can copy any western technology and design and be fine. And if you are a western company you cant complain. So what you are saying that its completely fine to copy and use without any licence someone's hard work and because other countries actually have laws and governments that actually believe in some kind of democracy are crazy f**ks ? Lol good one. And no that patents system isn't collapsing any time soon. Its been up and working for hundreds of years without any issues beside the trolls like you. Oh and keep dreaming that you will ever see a Chinese company phone in stores worldwide for a ridiculously cheap price. There is a reason they are so cheap. They are mostly sold in one market. Try selling a phone worldwide in stores, providing support in each country, in hundreds of countries, warranty in each country, marketing in each country. I think you get my point. Anyone can make a phone and sell it in 1 country. Try doing that worldwide and in stores, not just online. They do, have you ever seen the dollar store? Have you ever seen your Christmas toy? Made in china. Please with over a billion people if anything, all you have done is provide jobs to a country for support. Learning English? Please most already do that, since they already deal with US based companies. There is a good movie out there that shows just how much China has benefited from shipping their products to one of the most consumer countries in the world. When you can make pencils, pay port fees, shipping fees, truck fees, in two different countries, and make it cheaper than a local product...they do not fear the jobs created by making a support for the products they sell....and will do support cheaper at that, or just give india the jobs. Right now in tech, all I hear is, I paid700 for a phone it better have a 1 year warranty. What happens when that phone is 200, will they care that it has a 6month warranty instead? That's crap. Nobody is calling for the payment system to "disappear," they're calling for it to be fixed. Software patents - gone. First to file - gone. Require a working prototype. No patenting of nebulous concepts. Fox it and innovation will surge.